Ask any parent: when a baby’s on the prowl, look out. From the toddler’s point of view, seemingly mundane household items are transformed into incredibly interesting toys. Take door stops. With little ones on the loose, their rubber grommets have a way of disappearing and sometimes the entire spring unit goes missing. 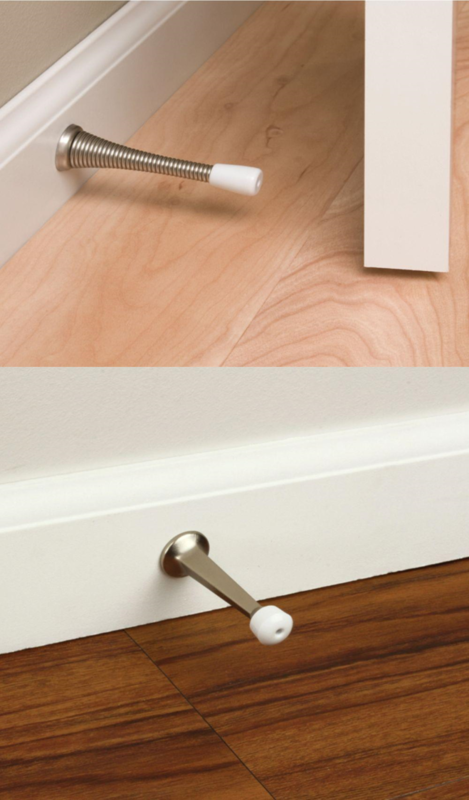 With nothing to stop doorknobs, this often results in punctured walls - and there’s nothing cute about that. Fastened onto base/floorboards, current door stops are also susceptible to damage by sweeping, vacuuming, and pets. 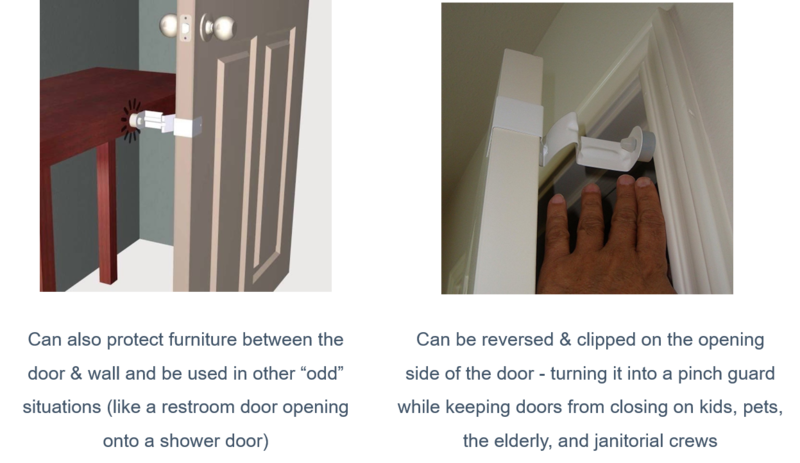 Hinge door stops are the only other option out there - but they almost always end up failing due to having to hold the pressure of the door’s full leverage. ...but a better solution isn’t. 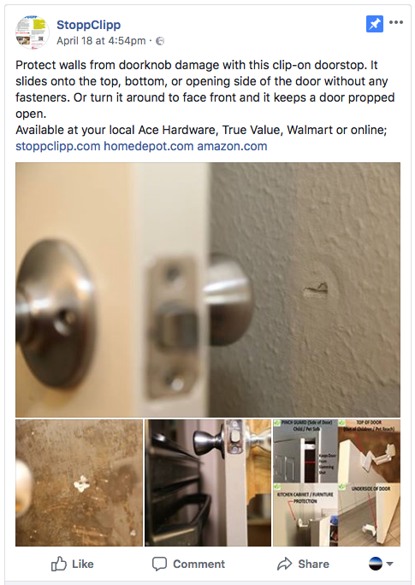 Enter the StoppClipp from HexCarr Industries: a new clip-on door stop that’s providing unmatched protection to your walls and your sanity. We’ve been producing innovative yet simple home hardware solutions for years now - and are ready to tackle another need. 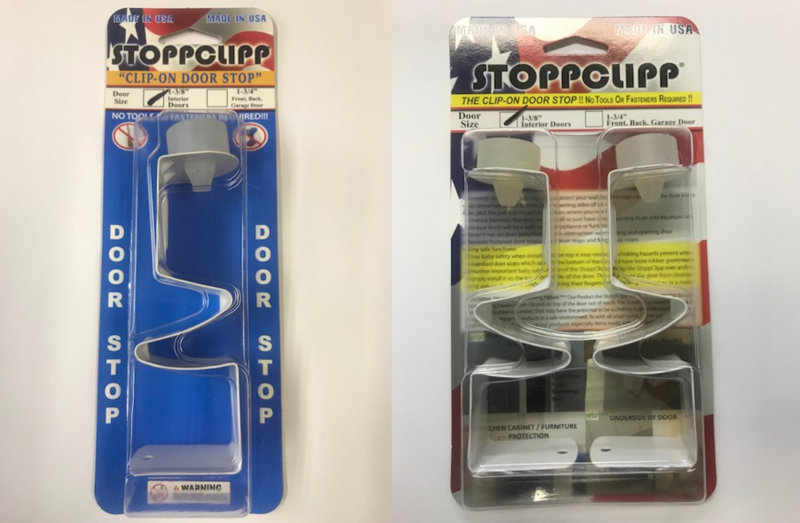 The StoppClipp is a fully functional door stop that can be placed on anywhere on a door with a simple clip - without any tools or fasteners required. 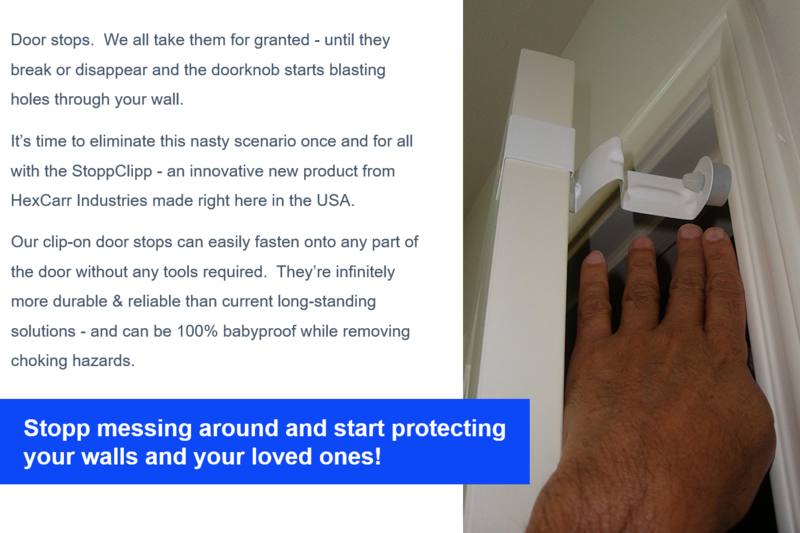 There are no other products quite like ours and since it’s patented, that won’t change any time soon. The StoppClipp’s unique design sports a tension clip that’s ideal for any US standard-sized door. This includes 1 3/8" for interior doors (bedrooms, closets, pantries, etc.) and 1 3/4" for exterior (front & back doors). 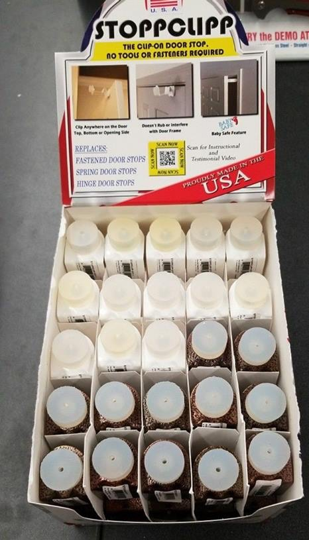 The product is offered in convenient 1-pack and 2-packs online and at physical retail locations. Most customers start with one pack but end up coming back to equip all their doors. We're off to a great start with the StoppClipp - and don't plan on stopping any time soon. In fact, sales have been so great that we actually have a pressing need to move into a new office with its own distribution center. This is our primary focus over the near-term future. Despite this early success, customer acquisition will remain constant. Educating consumers on the fact that they no longer need to settle for traditional door stops is what it's all about. PR campaigns & social media will continue to be leveraged heavily to do this. Ultimately, the goal is to break into the brick & mortar retail leaders (Lowe’s, Home Depot, etc.) and make StoppClipps a constant presence. Because their lineups don’t change much, this will be a challenge - but we're more than confident. R&D is also a huge ongoing focus as we're always efforting to launch more products. We have both a toothbrush holder and a towel hook that are currently in development and on deck for release in the near future. StoppClipps arised from the vision of Co-Owner Jose Carreon - a proud father and forward thinking entrepreneur. After witnessing his door stops and their rubber grommets disappearing at the hands of his little ones, he decided to do something about it. 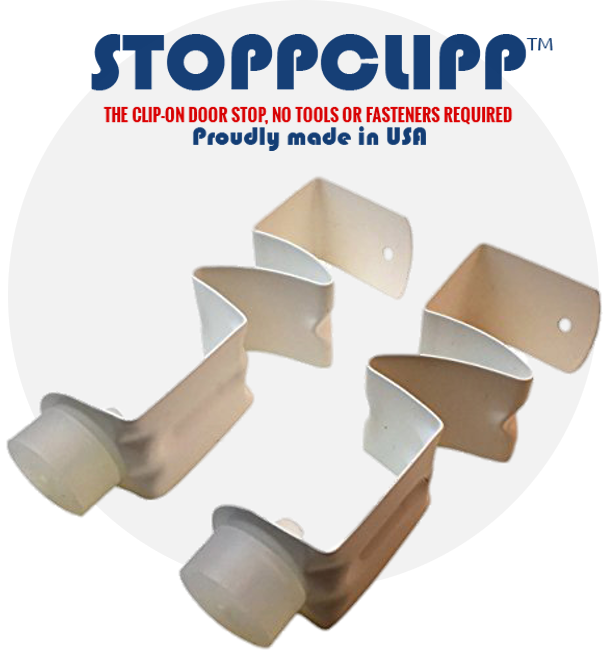 Jose then had the idea of applying the same idea behind hurricane clips to door stops - and the StoppClipp was born. He now leverages his strong background in operations, sales, and management to head up marketing and strategic planning for our company. 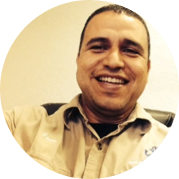 The second half of our dynamic duo is Co-Owner Hector Villarreal, whose diverse skill set includes manufacturing, engineering, and operational proficiency. Hector serves as a lynchpin of our daily operations while assisting Jose with manufacturing and design. We’re super excited to turn to the Fundable community for assistance with a $5,000 infusion. This capital will be crucial towards allowing us to move out of our “break room” and into our own separate location - in order to keep up with our ever-growing demand. The entire HexCarr Industries team greatly appreciates your time and interest in the StoppClipp! We’re excited to get this great product in the hands of the American public and to continue manufacturing them locally here in South Houston, Texas.